We want to upgrade our existing, ageing fleet of Optimist sailing dinghies so we can continue to give children the opportunity to learn how to sail. At Mepal Outdoor Centre, we provide all types of sailing experience from short half-day taster sessions to advanced courses. We are particularly keen to introduce children to sailing as it’s a great sport that anyone of any age and ability can enjoy. The ideal training dinghy is called an Optimist. Optimists are primarily designed for children and they can handle them single-handed without danger, fear or back-strain. Our existing fleet of Optimists are many years old now and beginning to show the wear and tear of teaching hundreds of young people to sail. We’d therefore like to raise sufficient funds to replace our existing boats with new ones. 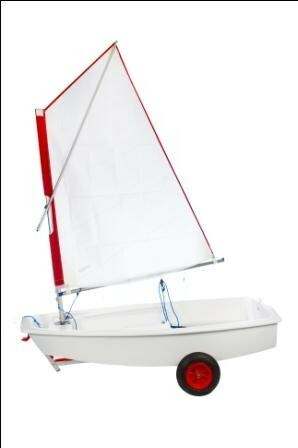 Buy ten new Optimist dinghies. Sailing is a sport anyone can take part in. It builds self-reliance, physical strength, quick thinking and a love of the outdoors. 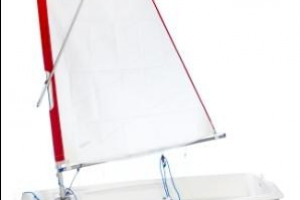 Optimist dinghies provide an exciting way of getting afloat to experience the thrills of sailing. 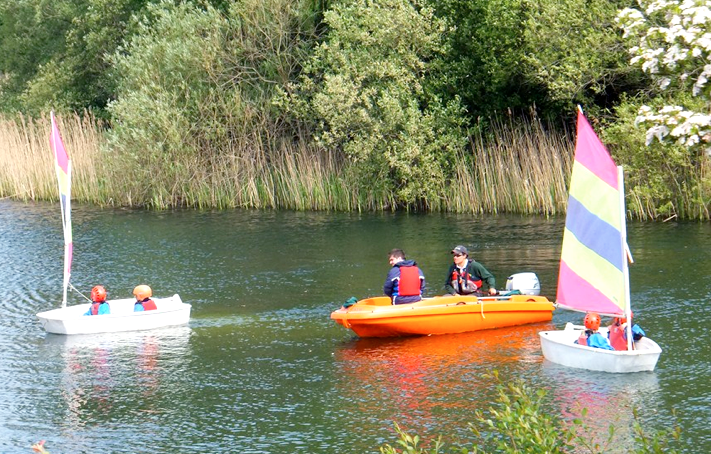 Mepal Outdoor Centre offers an ideal location for sailing as it is in a sheltered position and has light winds. Our 20 acre lake within the safe boundaries of the Centre provides local children with the perfect opportunity to get closer to nature. Without investment into new dinghies, we will have to reconsider how we teach sailing and it may be that children will have to learn to sail in groups in our larger boats rather than learning single-handed. Our dedicated staff team have ‘patched up’ our sailing dinghies so we can get ‘just one more season’ out of them for several years but they are now at the stage where we simply can’t make do and mend anymore. 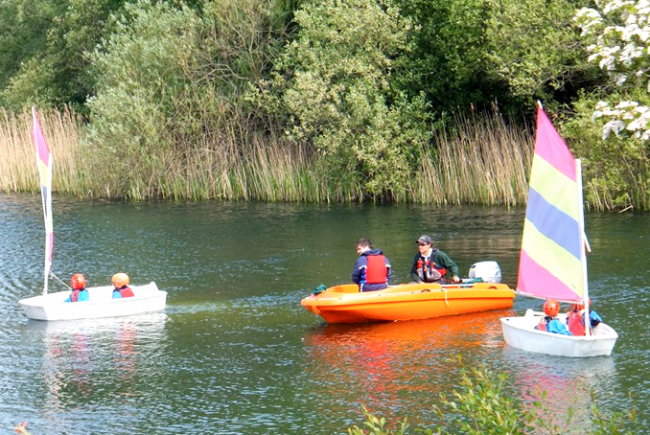 New dinghies will allow us to teach more children to sail over the coming summer and years ahead. Buy the boats and get them transported to Mepal. 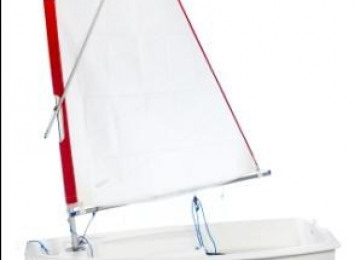 Find someone selling Optimist dinghies at a competitive price. Go to see them to check they’re exactly what we need. Start teaching more children to sail. Please help us reach our goal by pledging your financial support for this vital project. Mepal Outdoor Centre is a valued and much-loved community resource. 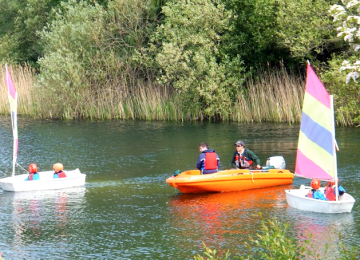 Over the past 30 years we’ve taught thousands of children and young people to love the great outdoors and given many of them their first experience of adventurous activities such as sailing, canoeing, climbing, archery and orienteering. Support from the local community – from individuals, families, local businesses and organisations – is vital for securing the Centre’s long-term future and we are grateful to all those who are able to contribute. Please help us carry on our excellent work helping people of all ages learn about and experience the fun and excitement of the great outdoors! Purpose-built outdoor centre next to a 20 acre lake. Mepal Outdoor Centre is a small outdoor activity centre set in the countryside of Cambridgeshire, run by the Mepal Outdoor Centre Charitable Trust (charity no 290429). The Centre’s prime role is to provide affordable outdoor leisure, coaching and vocational training for all. 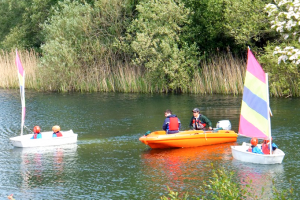 Conveniently located just outside Ely in Cambridgeshire, Mepal Outdoor Centre provides a range of land and water-based activities aimed at children, young people and adults of all ages and abilities. 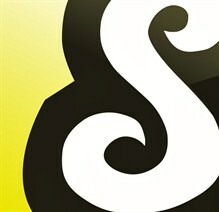 Residential stays and day visits for schools, colleges and uniformed/youth groups. We believe there is a wealth of potential just waiting to be released in every person who comes to visit us. Our activities focus on developing self-esteem, peer support, confidence and positive attitudes so that people leave us feeling inspired and motivated to tackle all the challenges life throws at them. 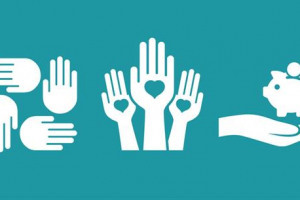 Project Delivery Manager: Mepal Outdoor Centre Charitable Trust The Project Delivery Manager takes legal responsibility for receiving and spending the funds raised and ensuring the project is delivered. Contractor: Xtremity The team responsible for building or installing the project.